Colyer-Fergusson Building | Music Matters | Because it does. Doesn't it ? 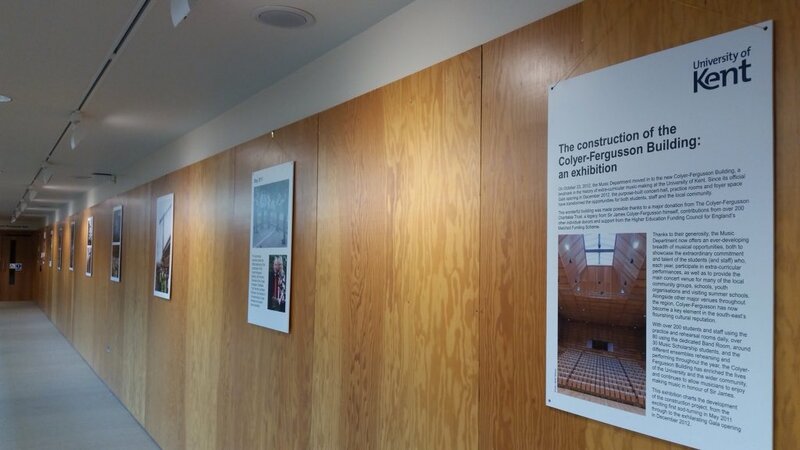 The gallery is currently hosting the exhibition of photographs charting the construction of Colyer-Fergusson, originally created as part of our five-year anniversary celebrations marking 2017-18 as the half-decade since we opened our doors at the end of 2012. The exhibition, on display throughout the summer, is open during normal working hours, admission is free, and there is disabled access. 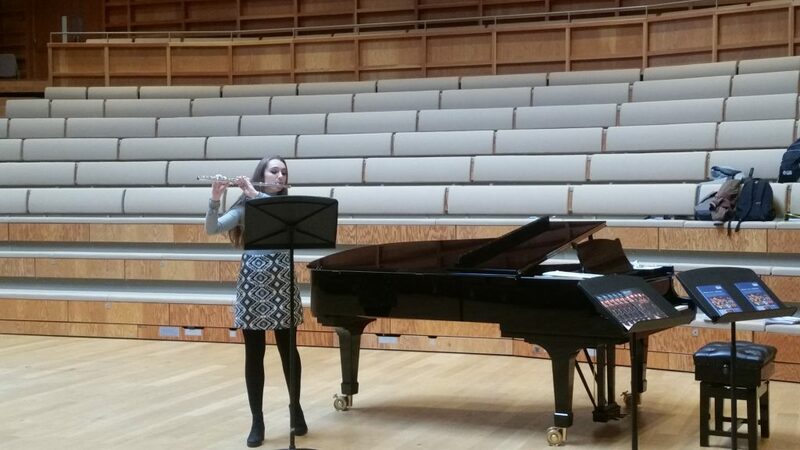 Monday 23 October, 2012: the Music Department bids a fond farewell to its home since the mid-80s in Eliot College, and moves into the newly-built Colyer-Fergusson Building, to begin music-making in a purpose-built, award-winning concert hall and practice facilities. 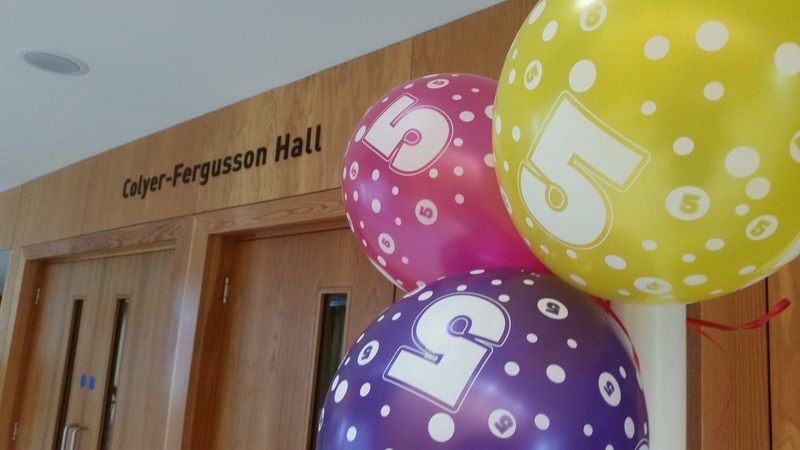 Fast-forward to Monday 23 October, 2017, and the Department celebrated the five-year anniversary since Colyer-Fergusson opened its doors to both the University and the local community (and beyond) with a reception, open rehearsals, tours of the building, and a special exhibition of photographs from the eighteen-month construction project. It was a real pleasure to welcome donors, supporters, alumni, friends, and key people involved in the initial project, including Tim Ronalds Architects, project managers, and the former Chairman of the Colyer-Fergusson Charitable Trust, the Hon Jonathon Monckton, to share the celebrations. This wonderful building was made possible thanks to a major donation from The Colyer-Fergusson Charitable Trust, a legacy from Sir James Colyer-Fergusson himself, contributions from over 200 other individual donors and support from the Higher Education Funding Council for England’s Matched Funding Scheme; a true coming together of the generosity of Sir James together with many of the donors and supporters of music-making at the University, to establish a landmark building that has afforded new opportunities for rehearsing and performing. 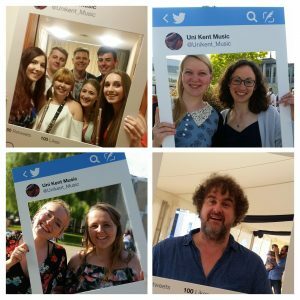 Thanks to their generosity, the Music Department now offers an ever-developing breadth of musical opportunities, both to showcase the extraordinary commitment and talent of the students (and staff) who, each year, participate in extra-curricular performances, as well as to provide the main concert venue for many of the local community groups, schools, youth organisations and visiting summer schools. Alongside other major venues throughout the region, Colyer-Fergusson has now become a key element in the south-east’s flourishing cultural reputation. 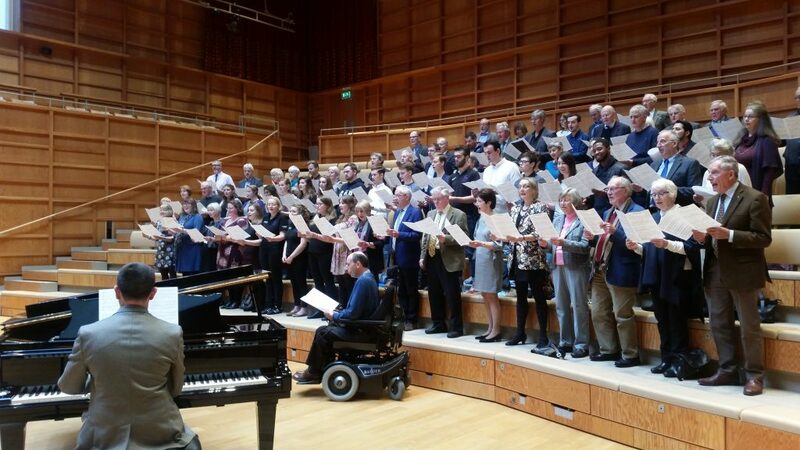 Throughout the day, rehearsals in the hall featured student and staff musicians including the Chamber Choir, string ensemble, third-year Music Scholarship flautist Natanya Freedman, members of the Musical Theatre Society, and a special Come and Sing in which everyone present arrayed themselves around the choral risers to sing Somewhere Over The Rainbow. 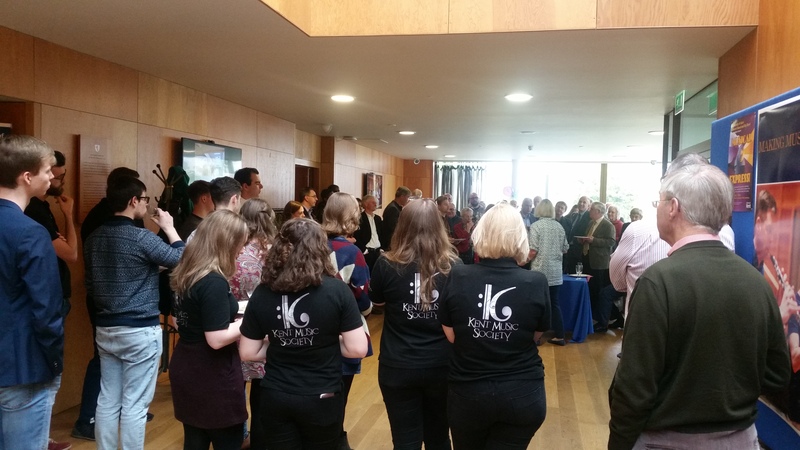 On behalf of the Music team, our thanks to everyone who attended, who was involved in making the Colyer-Fergusson Building possible, and to the Events team who kept the invited guests fed, watered and on occasion even chased errant balloon-displays which were endeavouring to escape down Giles Lane.